The Bucas Power Turnout Rug is a strong and durable rug suitable for a wide range of temperatures. Made from a ballistic nylon outer that is waterproof and breathable, with a heat reflective inner aluminium coating. The shoulder darts and Click’n Go with Snap-lock front fastening system means the Power Turnout is always the perfect fit! 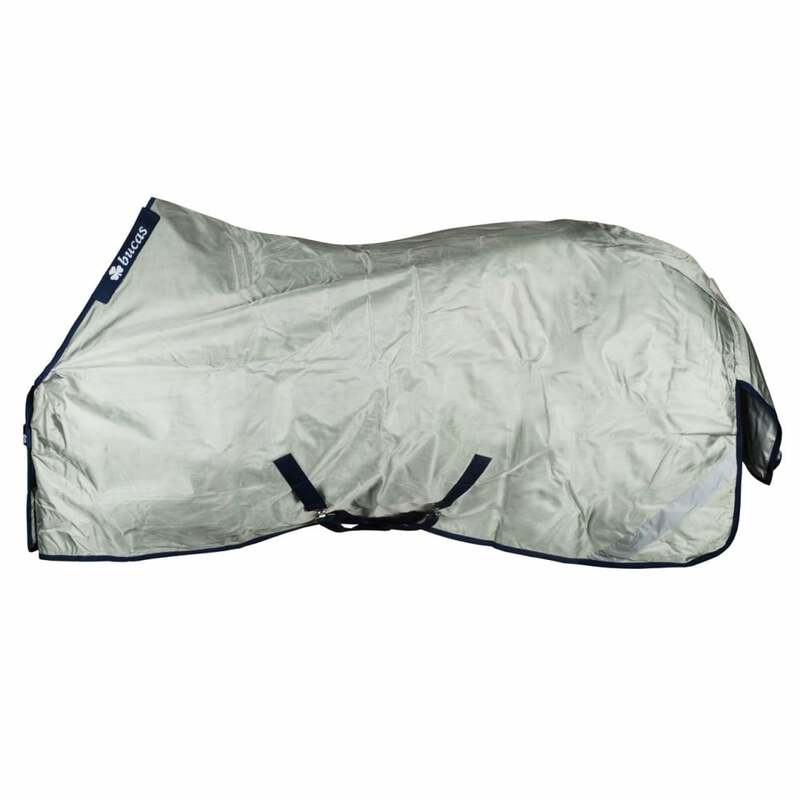 The Power Turnout features Stay-dry anti-bacterial lining enabling the rug to be put on a wet horse the same way as a sweat rug. It will quickly dry the horse and can be left on, thus avoiding extra rug changes. A combi neck cover is also available, and this rug is compatible with the Bucas Select quilt range.